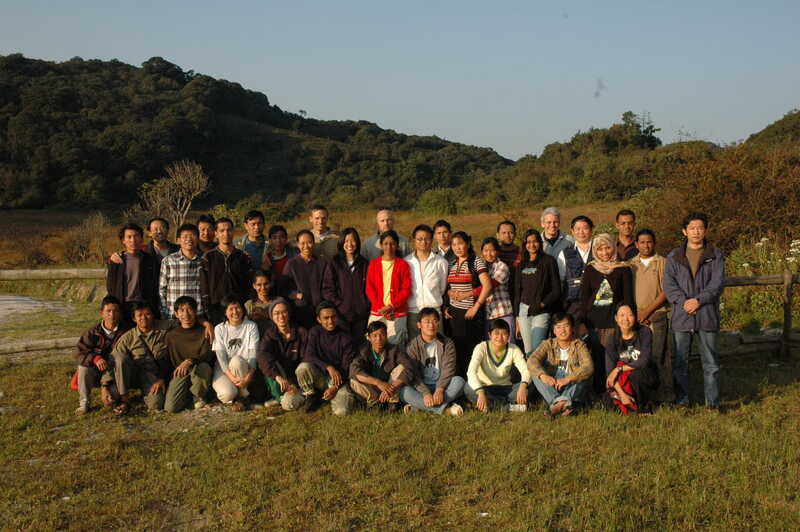 The Center for Tropical Forest Science (STRI) – Arnold Arboretum (<?xml:namespace prefix = st1 ns = "urn:schemas-microsoft-com:office:smarttags" />Harvard University) annual field biology course in Asia was recently hosted by Xishuangbanna Tropical Botanical Garden (XTBG) in Yunnan, China. Twenty-one students from ten countries participated in the course, which was taught by 14 local and foreign resource staff. The students were taught a range of topics, including plant and insect systematics, plant community dynamics, soil ecology, plant ecophysiology, and plant-animal interactions, and completed two short, independent research projects during the six-week course. In addition to activities at XTBG, the students visited the extraordinary, monodominant Parashorea forest in Bubeng, where the CTFS and XTBG have recently established a 20 ha forest dynamics plot, and spent 10 days at the montane forest fieldstation at Ailoshan. The fieldcourse was co-ordinated by STRI Associate Researcher Rhett Harrison.